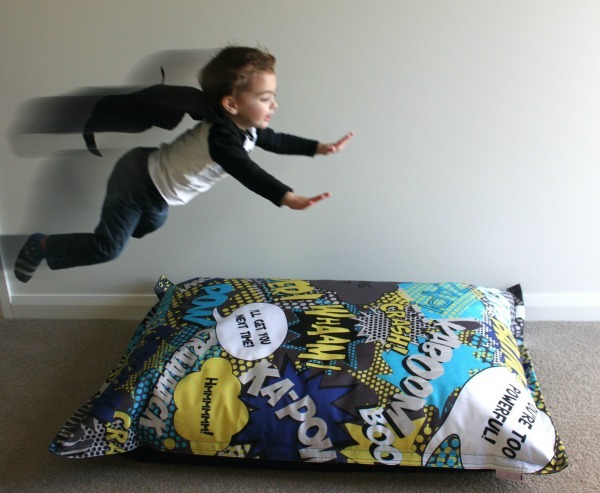 There is something timeless about a bean bag that almost makes them a rite of passage for kids everywhere. The scope of the humble bean bag has expanded considerably in recent years though. Just check out these groovy options from Mini Beanz. Mini Beanz is an Australian owned and operated company started by hard working and creative mum, Bianca. The Mini Beanz bean bag collections are exclusively designed to be used from birth, with a number of different collections and styles available. First to catch my eye was the Comic Landing Pad. With a bright and loud design created by Mini Beanz’ very own graphic designer, you won’t find another bean bag like this one. The Comic Landing Pad is the first in the Comic collection and can be used indoors and outdoors for ultimate practicality. This bean bag retails for $129.95 and, like all the Mini Beanz collection, puts safety first with a removable cover, safety zipper and inner bag with secondary safety zipper. This means the kids are unlikely to ever create a faux snow of bean bag beans in your living room! A fun and quirky bean bag for a reading corner or beachy themed bedroom is the Finn the Shark Bean Bag which is also priced at $129.95. As much fun as Finn looks to lounge around on, I can imagine endless games and play time centering around this fearsome ocean brute. 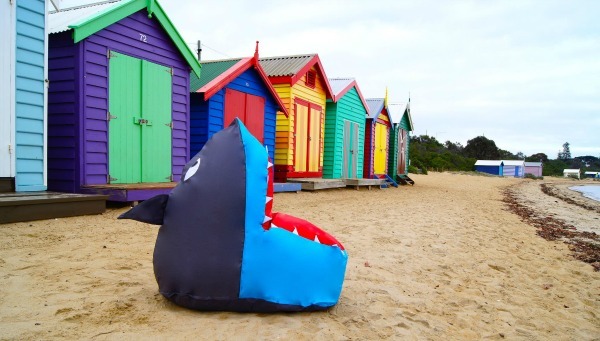 Finn the Shark Bean Bag is made from waterproof polyester and is machine washable. 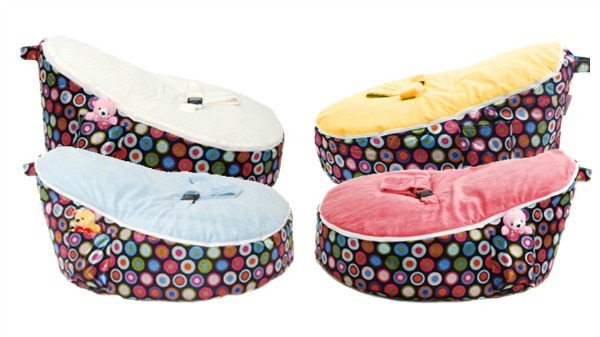 One of the most popular products created by Mini Beanz is their collection of Newborn bean bags. The Newborn collection ($119.95) is an alternative to the bassinet and designed to help relieve reflux and prevent flat head syndrome; just mould the beans around your infant to envelope them in a little cocoon of safety and comfort. Your baby won’t just outgrow the Newborn collection though, they are suitable to use right up until the pre-teen years and are made with interchangeable covers to suit your style of the moment. See the entire range over at Mini Beanz. Beans to fill the bags are not included to make delivery cheaper, easier and more accessible to locations throughout Australia and around the world.